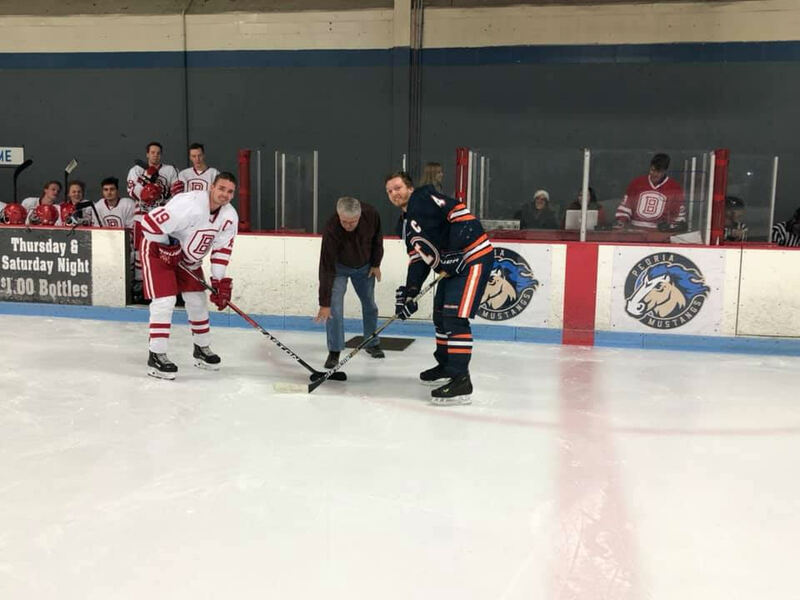 With an enthusiastic student section and Bradley University President Gary Roberts in the building, the Bradley D2 hockey team celebrated senior night last Friday with a home contest against University of Illinois. Roberts made a ceremonial puck drop following the senior celebrations, which honored 11 different Braves players and staff members involved with the D2 and D3 teams. The Illini’s Valentino Wilson quickly netted a goal just 19 seconds into the game, pounding home a loose puck to the back of an open net. Another Illinois goal by Jason Brooks, who struck in a rebound, gave the Illini a 2-0 edge barely two minutes into the game. The Braves were able to catch up and keep pace for much of the remaining time in the first period. Senior goaltender Logan Osborne made some key saves to keep the deficit within two. With 15 seconds remaining in the first period, a wrist shot by Illinois’ Michael Power beat the glove of Osborne, giving the Illini a 3-0 lead. 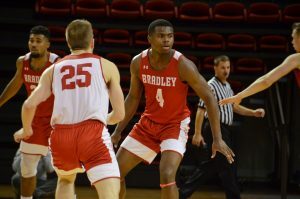 Bradley needed to stop the bleeding and find something to go their way in the second period. Bradley’s defense stepped up, preventing Illinois from recording another goal. With less than six minutes of play left in the second frame, Bradley was gifted with a power play opportunity. Senior Joe Norton received a puck from the right corner and scored seven seconds into the man-advantage. Norton’s goal ignited a spark for the Bradley offense, specifically for that night’s honored seniors. Senior Cole Harris scored over a minute later, thanks to a stick pass from senior Cody Esposito to bring the score to 3-2. Senior Kyle Tintera and Harris exchanged goals just minutes apart to give the Braves their first lead of the night, 4-3, as the second period drew to an end. Bradley continued to pour on the offense in the third period thanks to Tintera, who scored his second and third of the game to complete the hat trick. The Illini scored a goal shortly with 10 minutes left in the third, but it was too little too late as the Braves skated away with a 6-4 comeback win. It was fitting for the seniors, who scored all of Bradley’s goals with Esposito picking up four assists on the game. Fitzgerald said that this year’s senior class had an everlasting effect on Bradley’s hockey program. 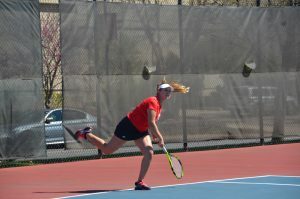 The D2 team was back in action on Saturday, traveling to visit the Illini in Champaign. 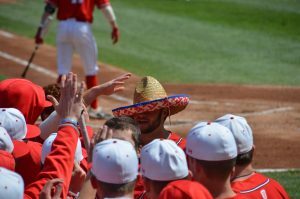 They followed up Friday’s win with a 9-3 triumph. They will take on Lindenwood University today and tomorrow in Wentzville, Missouri. The Bradley D3 team took the ice shortly after the D2 win, taking on the visiting Marquette Golden Eagles. The Braves quickly fell behind 3-0 in the game, and were unable to catch up, falling 4-2. The D3 team finished up their home series against Marquette Saturday with a 7-6 overtime victory.